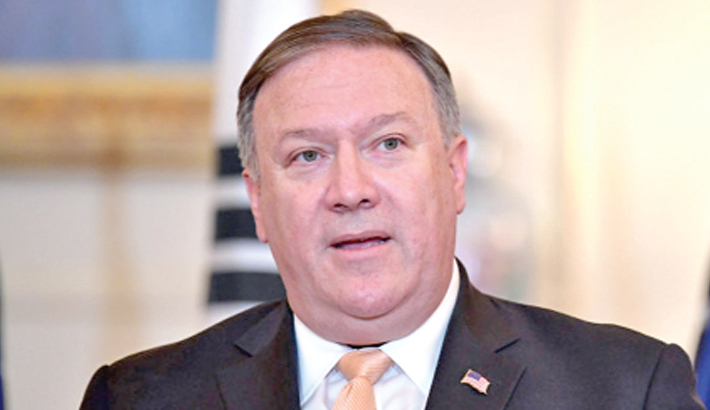 KABUL: US Secretary of State Mike Pompeo made an unannounced visit to Kabul Monday for talks with Afghan leaders, an Afghan official said, amid renewed optimism for peace in the war-weary country, reports AFP. The official confirmed Pompeo’s arrival in the capital Kabul, his first trip to Afghanistan since he was sworn in as America’s top diplomat in April, on the condition of anonymity. A joint press conference with President Ashraf Ghani is due to start shortly. The visit follows an unprecedented ceasefire during Eid last month, when the Islamic holiday was marked by spontaneous street celebrations involving Afghan security forces and Taliban militants. Fighters on both sides have expressed a deep fatigue with the grinding conflict, raising hopes that an end to hostilities was possible after 17 years of war that began with the US-led invasion in 2001 that ousted the Taliban from power. But the insurgents refused the government’s request to extend their three-day ceasefire, launching attacks that have seen scores killed or injured. A security official told AFP that the number of Taliban attacks across the country had fallen since the ceasefire, but the claim could not be verified. US-backed Ghani, who is under international pressure to ensure credible parliamentary elections are held in October ahead of next year’s presidential vote, has been leading the push for peace talks. The Taliban have so far ignored Ghani’s offer of negotiations. Instead, they have insisted on direct talks with the United States, which Washington has repeatedly refused. One of the Taliban’s key demands for engaging in talks has been the complete withdrawal of foreign troops from Afghanistan, but observers say they now appear amenable to a timetable for their pullout. But the renewed violence and the Taliban’s recent vow to continue their bloody fight against the government and their foreign backers, has dampened optimism that the truce would provide a clear path to peace talks.